First Sneak Peek at Utopia 1.0 for Gear VR at San Diego Underground Film Festival! 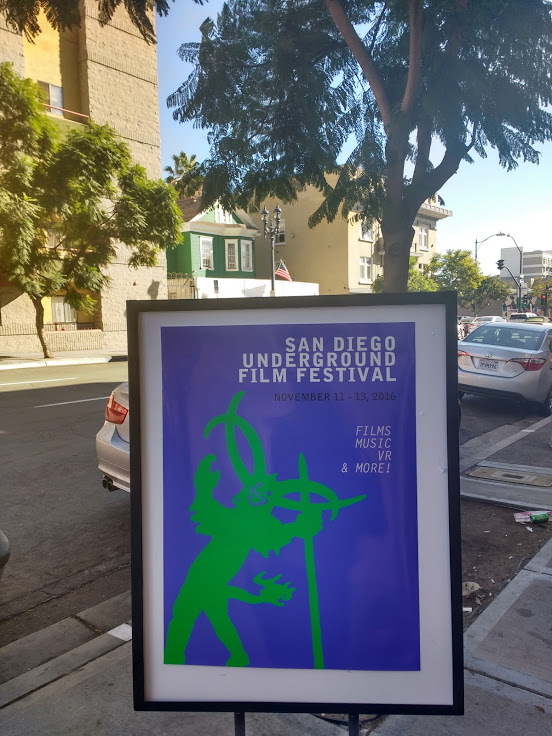 Thanks to dynamic duo Ryan Betschart and Rachel Nakawatase for bringing me to this year's San Diego Underground Film Festival. Films, tacos, old friends and new, and ... as if the rooftop views of sunny SD weren't enough, we had VR headsets to transport us to Utopia 1.0. Tags SDUFF16, SDUFF, San Diego Underground Film Festival, Ryan Betschart, Rachel Nakawatase, VR, Lana Z Kaplan, San Diego, Utopia 1.0: Post-Neo-Futurist-Capitalism in 3D! This is so cool - another creative collaboration with someone I've never met. Lou Omat saw my film Utopia 1.0: Post-Neo-Futurist-Capitalism in 3D! at Impakt in The Netherlands, and recently asked to include it their radio program on 'Speculative Future Realities.' 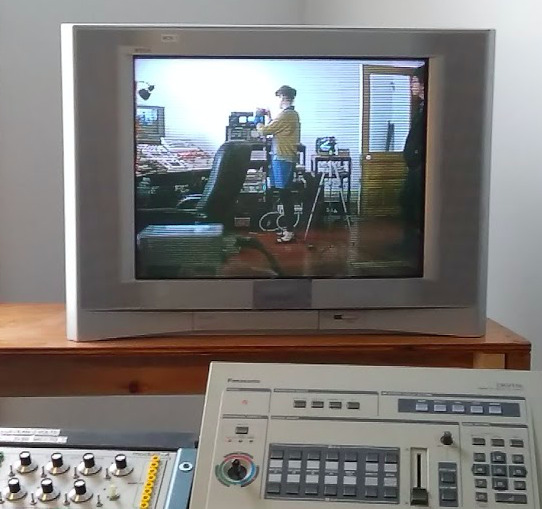 You can have a listen here [Utopia 1.0 comes in at 5:10 - 5:50 and 33:30 - 34:00]. I love seeing ideas and projects continue to transform and it reminds me of how every piece I make is collaborative, and part of an already existing conversation. Thanks for sharing, Lou Omat. On the web we reinvent ourselves and our avatars overcome barriers of gender, race and age. We can accept other forms of life and move our virtual body within fractions of a second from one place to another. How much we can the images that we create from us, change and fragmentation, eyelet Divide us in them, or how they are usual stereotypes and ideals of beauty subject? In the physical world, however, the boundaries between biology and technology. To keep up with the development, are our bodies technologically upgraded, changed, improved.The dream of immortality is to spy on the horizon and the need for physical self-optimization omnipresent. In a time when the first cyborgs walk among us, in the vision of the future of human-machine has come true, has the answer to the question of what it means to be human, be always renegotiated. UTOPIA 1.0: POST-NEO-FUTURIST-CAPITALISM IN 3D! Come celebrate with us and see previews of the work we did on The Faithful this Sunday at UnionDocs! 322 Union Ave, Brooklyn, NY. Putting the final touches on The Faithful, thanks to the generous support of UnionDocs and the Rockefeller Brothers Fund! Save the date! Sunday, August 14th, 2PM at the RISD screening room - Rhode Island Premiere of Utopia 1.0! 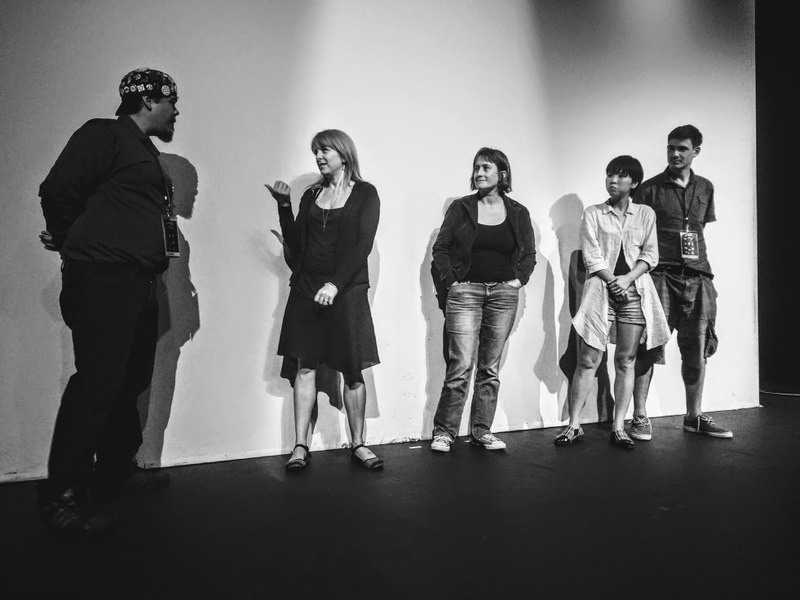 It was a gift to attend this year's Flaherty Seminar programmed by David Pendleton as a fellow among other filmmakers, artists, programmers, and scholars. Thank you to all who made this possible! 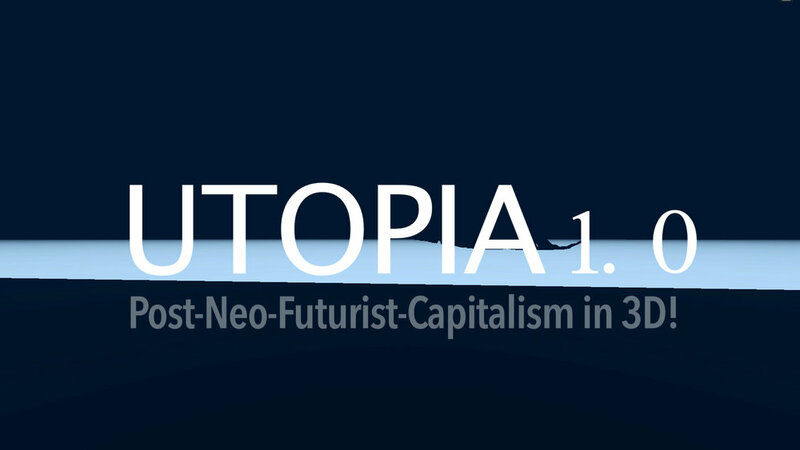 Thanks to Nicky Gogan for inviting Utopia 1.0: Post-Neo-Futurist-Capitalism in 3D! to screen at Films of Note at The Sugar Club! Thanks also to my fellow Flaherty Seminar fellow Alice Butler for attending, and to all of those who packed the house! The beautiful venue - a music hall. Wish I could have been there in person. Interval presents Mining the Cloud, a series of films and performances by local and international artists at Schoolhouse Studios. Interval presents Mining the Cloud: a series of desktop documentaries by local and international artists. Charting the multitude of the Internet through the desktop interface, these films and performances traverse landscapes that fall outside our visual circuits. From abandoned virtual realities to electronic dumping grounds of Ghana, this is the detritus of late capitalism in a time of rapid technological change. Using desktop browsers as both lens and edit suite, these artists record the virtual as real, transgressing the disciplines of ethnography, archaeology and art practice into new cosmologies of meaning. Excavating artifacts under the "cloud", these films and performances respond to the human impulse to navigate, archive, interpret and ultimately control the world around us. Lettres du Voyant is a documentary-fiction about spiritism and technology in contemporary Ghana that attempts to uncover some truths about a mysterious practice called "Sakawa" - internet scams mixed with voodoo magic. Tracing back the scammers' stories to the times of Ghanaian independence, the film proposes Sakawa as a form of anti-neocolonial resistance. A technographic study of e-recycling and neo-colonial mining filmed in the Agbogbloshie electronic waste ground in Accra and illegal gold mines of Ghana. The video constructs a mise-en-abyme as critique in order to dispel the capitalist myth of the immateriality of new technology - thus revealing the mineral weight with which the Cloud is grounded to its earthly origins. A first­-person expedition to Second Life, the once thriving virtual 3D online world, in search of what remains. Given the invitation to come build anything imaginable, what is it that we chose to create? 'exercises on nervousness' is a series of short performances constructed for live and online sites. This work plays with the syncopations in internet mediated communication and the cultural politics of our emotional interactions. Building on a recent body of work Desktops, Emile Zile’s performance creates narratives from computer screen captures, search term collages and algorithmic portraiture to explore human mediated communication and the circulation of digital images. 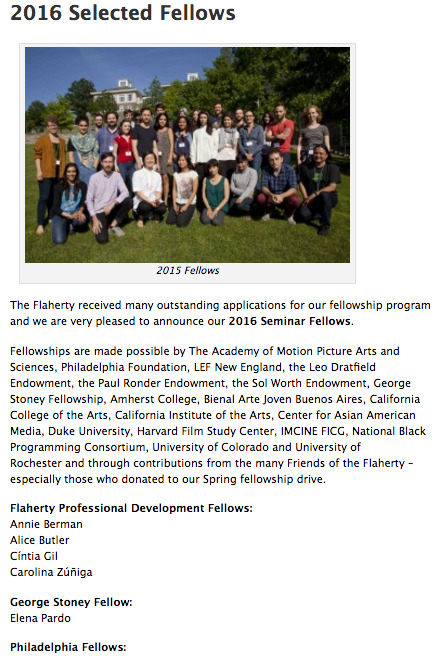 Honored to join this year's Flaherty Seminar fellows to this legendary weeklong summer seminar that brings together over 160 filmmakers, artists, curators, scholars, students, and film enthusiasts to celebrate the moving image. Each year Experiments in Cinema brings the international community of cinematic un-dependents to Albuquerque, New Mexico, USA for a film festival that is designed to inspire a new generation of homegrown media activists to participate in shaping future trends of cultural representation.